Jared Spool, Founding Principal, User Interface Engineering at An Event Apart as closing speaker was talking about the secret lives of links and he discussed about clutter. Here is what he shared on what is a meaning of clutter and here is what he provided a great and a hilarious example. Absolutely, Real meaning of Clutter. 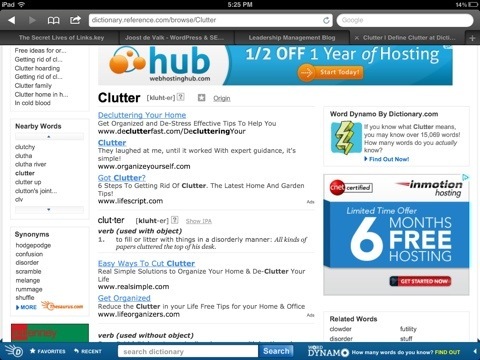 All the web space is cluttered with junk and least amount of content.